As I walked out of the courtroom, the bailiff was calling for backup. Two of the children of the decedent were starting to fight in the courthouse hall. I was the attorney administering their father’s trust. This was a case that brought home the message that not all trusts are created equal and they may not do what the trust maker had intended them to do. This case, along with others, pushed me in my quest to find a way to use today’s Internet to help people obtain the best customized plan for them at a reasonable cost. A process that will be simple and understandable, yet with all the benefits of the attorney’s experience and expertise. A process that helps families recognize the wisdom and values that are the foundation of their lives. Then, infuse it into their estate plan and their plan is no longer a sterile legal document. I am an attorney licensed to practice law in both Utah and California, with over 45 years of experience in the legal profession. I have seen every kind of litigation and the destruction of families because of poorly drafted and prepared estate plans. The reason for estate planning is not just to save taxes, avoid probate or lose your assets to the government. Based on my experience, the reason for your estate plan is to share all of your assets, not just the financial assets, with a clear purpose and to provide leadership to the generations that follow. Professionally, my goal and purpose is to help families craft estate plans that provide peace of mind, protection, financial savings, leadership, purpose and guidance to the next generation. My practice is limited both in the number of new clients I accept each month and the types of cases I accept. 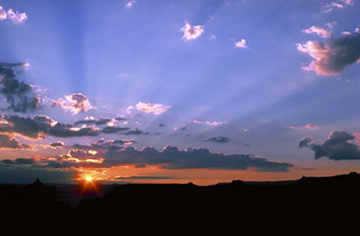 My wife and I recently moved to St. George from the Chino Valley in Southern California. We wanted out of the congestion of Southern California and to be closer to our children (really the grandchildren) who live in the Salt Lake area, but did not want the snow. Each of us had three children when we married 28 years ago. We added two more children. As a result of my life’s experiences, I help families plan their estate and pass on their most important assets in a very personal way. 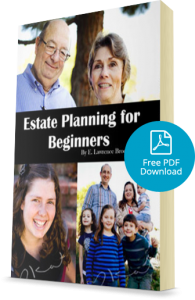 I invite you to explore this website and I hope you’re able to learn as much as possible from the articles, blogs, videos and webinars and that they will assist you in completing your estate plan. I am the only member of Wealth Counsel and Elder Counsel in Southern Utah. Wealth Counsel is an organization of 3000+ attorneys that provides the latest education and tools to enable me to provide my clients with the most comprehensive estate planning and related counseling, design and documents, through the congeniality and resources as if I were part of a major firm. Elder Counsel provide tools and education to attorneys who add to their estate planning practice an area that is known as elder law. This is a broad and diverse area that includes assisting families at times of crisis to qualify for Medicaid long-term assistance, proactive Medicaid planning which includes repositioning assets to enable individuals to qualify for Medicaid and to preserve their assets from government recovery, veterans aid and attendance benefits, special needs planning. California State University at Los Angeles, BA, 1975. Southwestern University School of Law, JD, 1979. Accredited Estate Planner by The National Association of Estate Planning Councils. Member, Board Of Directors of the Southern Utah Estate Planning Council. Founder and First President, Howard W. Hundred LDS Law Student Association at Southwestern University School of Law. Founder and First President of the Student Section of Los Angeles County Bar Association. Member, Board of Governors and Officer of the Lawyers Club, Los Angeles County, 1983 to 1986. Former member of Los Angeles County Bar Association, San Gabriel Valley Bar Association, Eastern Bar Association of Los Angeles County, Western San Bernardino County Bar Association, San Bernardino County Bar Association, Riverside County Bar Association. Member, Board of Governors of Settlement Now, an organization of attorneys sponsoring alternative dispute resolution, 1991 To 1997. Litigated hundreds of cases in the areas of Personal Injury – Plaintiff, Personal Injury – Defense, Family Law, Criminal Law, Juvenile Law, Bankruptcy, Environmental, Collection and Construction Defect. The last 23 years have been focused on Estate Planning, Probate, Trust Administration, and Contested Estate Litigation. Presented a number of programs on Alternative Dispute Resolution and Negotiation to attorneys, law students, and insurance adjusters. Presented a number of Estate Planning and Probate related programs sponsored by the National Business Institute.